Carey knocked down 16 points and grabbed 4 rebounds in the win that saw his teammate Anthony Marshall top scoring with 20 points. 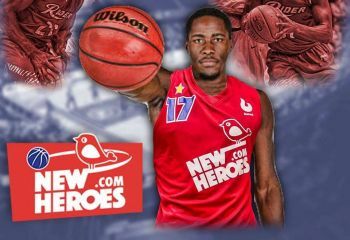 Mike Miklusak (15) and Keshon Sherill (10) were the other double figure scorers for New Heroes in the game played at Topsportcentrum Rotterdam. Virgin Islander Carey, who made his debut for his Dutch club, the New Heroes in a win against Weert Basketball Academy on Tuesday October 10, 2017, played 19:59 minutes for his game-winning effort. Maik Bouwer was the leading scorer for Rotterdam, with 24 points. New Heroes controlled the game from the onset and led 43-25 at the half. 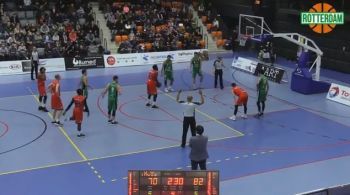 Rotterdam would fight back in the second half and outscored the visitors 32-21 in the last quarter but it was little too late for the home team.